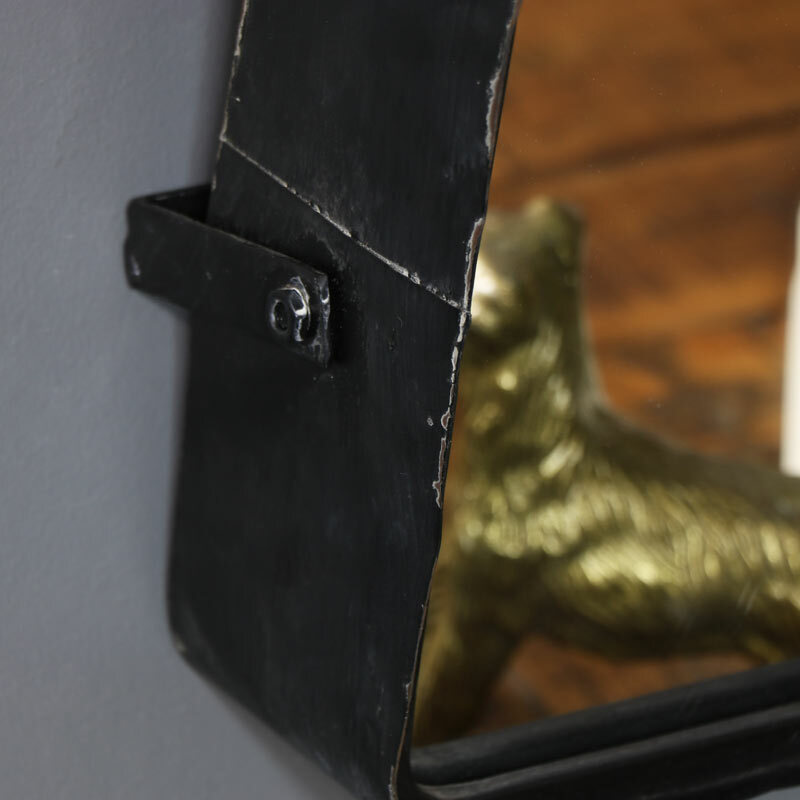 Mirrors are one of the best home accessories, this mirror is just perfect for adding some industrial retro chic to your decor. The adjustable design makes this the ideal bathroom mirror. Simply designed with a square metal frame and attached to a metal bracket that affixes to the wall. Tiltable design for angling as needed. The black metal frame creates a stylish indutrial feel. Perfect for the modern or contemporary styled interior. 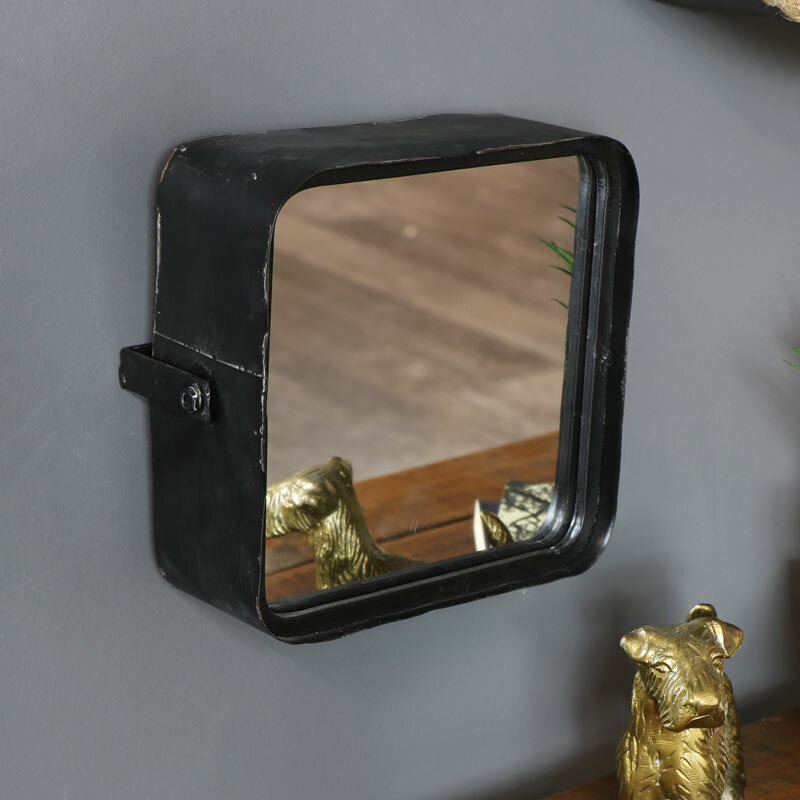 Mirrors are one of the best home accessories, this mirror is just perfect for adding some industrial retro chic to your decor. The adjustable design makes this the ideal bathroom mirror. Simply designed with a square metal frame and attached to a metal bracket that affixes to the wall. Tiltable design for angling as needed. The black metal frame creates a stylish indutrial feel. Perfect for the modern or contemporary styled interior. Constructed with a metal frame in a black painted finish. The mirror is easily wall mounted with holes on the back for attaching to the wall with screws (not included). A great addition to our growing range of mirrors. We have a great choice from large to small in an assortment of colours and finishes.